Another important aspect of our marriage preparations has been in the area of Natural Family Planning. Contrary to popular belief, the Church does encourage married couples to plan together their family size, but there is vast difference between the Church’s vision of family planning and that of the secular society. Out in the world ‘family planning’ usually means the choice of contraception that a couple will use in between having their one or two children. In the Catholic vision, however, family planning takes on a much more positive and personal understanding. At a foundational level, children are always seen as a great gift and a sign of God’s blessing. All through the Old Testament the blessings of the Lord were always seen in the children bestowed upon a couple and it is wise for us to recall that. A couple of weeks ago, I wrote about one of our marriage preparation sessions on the sexual union and how it should be seen as the pre-eminent form of communication because it echoes the love of God. If this ideal is carried through then it can be seen why contraception is so harmful to marriage. Contraception says ‘I give you all of me but I withhold my fertility, I do not want our love to be fruitful’. With contraception, the language of the body becomes distorted. The Church is often criticised for prying into the bedrooms of couples but it is God himself who has made us as sexual beings and that sexuality has a very real meaning. In this fundamental teaching on contraception the Church is simply reminding couples of their dignity and the greatness to which they are called in their love. The Church could never approve contraception because contraception turns the sexual union into something other than what God planned it to be; and it is only in living out God’s designs for life and love that genuine happiness can be found. A further criticism given to this vision is that the Church is requiring all couples to have twenty children and again this is very far from the truth. The Church makes it explicitly clear that the decision as to how many children a couple will have rests solely between them and God. I cringe when I hear well meaning family and friends prodding young couples about when they are having their children or why they are having the number they are having. Certain things are very private and the number and spacing of children is one of those things. We never know the particular blessings or struggles that have led a couple to have the number of children they have. What the Church does ask couples for though, is a continual openness to generosity. All through a couple’s fertile years, the Lord might call them to have another child. I am always concerned when a couple ‘know’ the number of children they are going to have before they even marry. How can a couple be sure at the very start of their life together what the Lord has in store for them, maybe they will struggle to even have one, perhaps the Lord will give them the means and generosity to have twelve! Knowing that contraception is not even an option it was important for Jane and I to understand how our fertility works. We chose to see a Billings Ovulation Method teacher and she has been very helpful in guiding us to understand and chart accordingly the information needed so we are able to know how best to achieve, and if necessary, avoid pregnancy. Modern natural family planning has absolutely nothing to do with the old Rhythm Method which was highly inaccurate due to assuming that all women had the same length cycle. The Billings Method is scientifically based on the actual signs of fertility as they happen and can thus be used by any woman at any stage of her life. It is absolutely essential information for every woman (and her husband) to have. Unlike contraception which leaves many women taking a highly toxic cocktail of drugs for most of their fertile years, Natural Family Planning relies on an ongoing discussion between the couple about where they are at in their life. 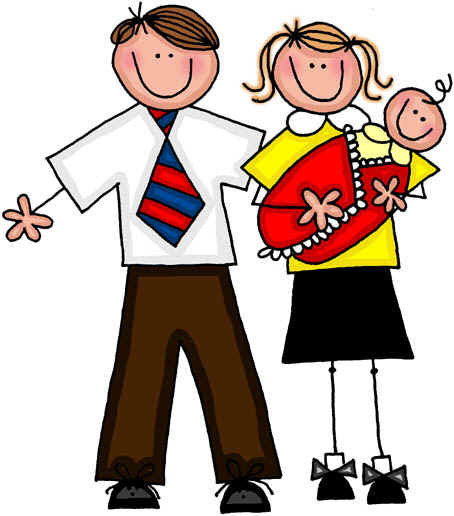 It allows for an openness and honesty that makes planning a family the joyful work of both husband and wife. Posted in Uncategorized and tagged Billings Ovulation Method, contraception, engagement, family planning, marriage, natural family planning, planned parenthood, proposal, wedding. Bookmark the permalink. There are grave reasons to pray that the author of this stupid article does not have more kids. Has this guy had any Catholic formation??? No mention of serious or grave reason – simply a straw man attack against people blessed with many children. Hopefully this was not a wilful misinterpretation of humanae vitae. I hope you become more mature when you get married. So, this vicious, almost incoherent, attack is meant to make me think you are a better and more Christian person than Bernard then? I don’t think so. I’m so confused why anyone would think this article is ‘stupid’?? I thought it was one of the better articles I have read and don’t understand where the so-called ‘immaturity’ lies??? Just trying to understand…. Sorry JP2 but I don’t get your response at all. You must never have come across couples that are unable to conceive and how hurtful it is for people to keep asking them when they plan to have children. Or couples that have one or two children and long for more but God has other plans. It goes the other way too – couples that are blessed with many children and people commenting in a negative way. It is between the couple and God and we should never judge anyone else however many children they are blessed with. I am pretty sure the writer of the article has quite extensive Catholic formation :). We all need compassion for everyone in the world. We know not what struggles they are facing. As someone that comes from a large family I consider that my parents made enormous sacrifices . I find this article offensive. Married couples are called to procreate unless they have grave or serious reason. Why would you have something about people that inquire about the joys of children? You cringe when you hear well meaning people en. I cringe when i hear mean spirited people who lack the generosity to embrace the Church’s teaching. Dear friends, in my article I said as much as the Church says in regards family size, that is (a) children are always a blessing (b) a couple alone must decide on the number of their children and (c) that decision should always be made with an openness to generosity. I am well aware of Humane Vitae, I agree with it entirely and my article in no way contravenes that teaching. PS It is wonderful that you have both come from large families, that is a great blessing indeed. But in no way can we presume that those with fewer children are somehow less holy because we do not know their personal situation. It is the spirit of freedom which “JPII” and “I love my family” seem to be reacting to. Did not John Paul II publish on this topic as a Bishop under the title “Freedom and Responsibility”? My family of origin was begun early in my parents’ lives, and therefore their 11 pregnancies (3 miscarried) occurred over 21 years of the fertile phase of their lives. Very often was I asked when growing up (as the second eldest) insensitive things such as “which number are you?” (rather than as a child might usually be asked of – name, age etc) and often it was said to me “you (plural) must be Catholic!” I would answer to the former question, in my later teenage years: ‘let me check the mark on my arm’, referring to cattle identification techniques; and to the latter, “it is true that we are Catholic, but if only you knew the spontaneity and love at the heart of my parents’ fruitfulness, that even when a child was a ‘surprise’, they welcomed the pregnancy with even greater fervour and devotion! It is true that my parents’ attitudes were shaped by Marriage Encounter, and friendship with its founders and then being commissioned to a service within the community from a very inspired M.E. weekend. What concerns me is the tone of the two commentators above. Do they understand the effect of their words? They may not realise, but in their frustration to project their misunderstandings, they seem to be personally attacking a man who is generously sharing his relational insights into a highly important area. It is important that people like Bernard are active in this mission to help people understand and heal the wounds of their poor formation in this area, especially for fertile peoples, and also for their parents, the baby-boomers who suffered from jansenist attitudes within themselves to their own freedom and fecundity. Most of my generation (35+) and those younger, have so misplaced joy, seeking it in the cohabitation of individuals, living in sin.Their culpability is lessened by those who have not witnessed to the joy and freedom of matrimonial life to them. Beautiful article Bernard. Of course, I don’t agree with all that you’ve written (I never do but that keeps it interesting :)) but I do think you’ve made some great points. You never know how many kids you’ll have and any preconceived ideas about numbers are pointless (excuse the pun). What is in store for each couple is unknown but, as you pointed out, constant dialogue is key. If you and Jane are starting out with such openness in your relationship you will surely be blessed, whether or not you have children.